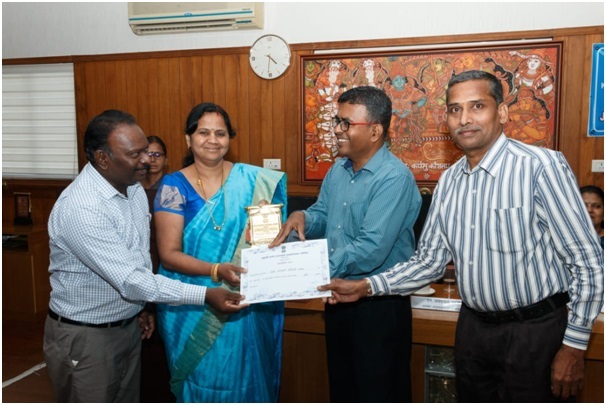 ICAR-Central Institute of Fisheries Technology, Kochi was honoured with the Official Language Rolling Trophy for the best implementation of the Official Language Policy of the Government of India for 2017-18 by the Kochi Town Official Language Implementation Committee. Dr. J. Renuka, Deputy Director (Official Language), Dr. Santosh Alex, Assistant Chief Technical Officer and Dr. P. Shankar, Senior Technical Officer received the Official Language Trophy during the award distribution ceremony of Kochi TOLIC from Prof. (Dr.) K. Ajitha, Head, Department of Hindi, Cochin University of Science and Technology, Cochin held on 15.03.2019 in the Thanima Hall of the Income Tax Department, Kochi. 'Jaladhi 2017', the science journal of the Central Institute of Fisheries Technology, published during the year 2017-18, has been awarded the Rolling Trophy of Best Journal of Kochi Town Official Language Implementation Committee. 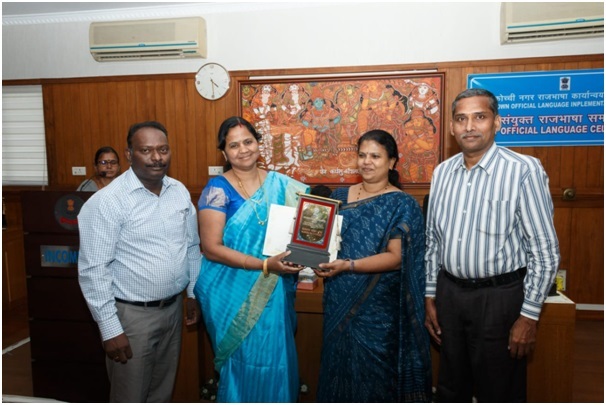 Dr. J.Renuka, Deputy Director (Official Language), Dr. Santosh Alex, Assistant Chief Technical Officer, and Dr. P. Shankar, Senior Technical Officer received the Rolling Trophy of Best Journal during the award distribution ceremony of Kochi TOLIC from Sri N.Jaishankar, IRS, Income Tax Commissioner, Income Tax Department, Kochi held on 15.03.2019 in the Thanima Hall of the Income Tax Department, Kochi.